For 12 years, Express Employment Professionals Indianapolis North office has helped good companies in Hamilton County find great workers. Contact us today to get started on finding the right fit for you. We work with job seekers to help them find the right job for their skills and experience. We have a variety of jobs available, and there are full-time, part-time, and temporary positions available in Carmel, Fishers, Westfield, and Noblesville. And, as the leading staffing agency in Hamilton County we provide employment services and workforce solutions to employers throughout our community. We typically work with business owners and department managers at companies with 5-100 employees. Some of our clients thought they could hire cheaper on their own and got burned; they had no trouble hiring mediocre people for poor results. Other clients weren’t hiring. Instead they were working a gazillion hours and never catching up. Saving a wage was costing them a fortune, because they were not finding new clients and barely servicing the clients they have. 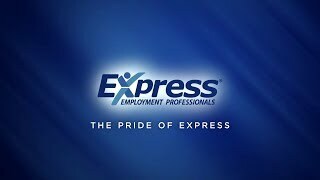 Express Employment Professionals of Indianapolis North, IN is a leading staffing provider helping job seekers find work with a wide variety of local businesses.